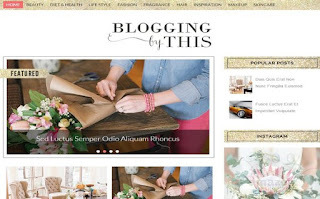 Blogging is a Beauty blogger template created specially for makeup blogs, hair blogs, fashion websites & general feminine blogs. Every element of this theme is well crafted and makes your site look professional website and you get maximum exposure to your content. Blogging free blogger template is having a great look on mobile devices, it can be up and running in a very short period of time. It is not just responsive, but designed with the highest functionality in mind. Still, Blogging blogger template manages to retain a certain “unique feel” that is simply different from everything else.